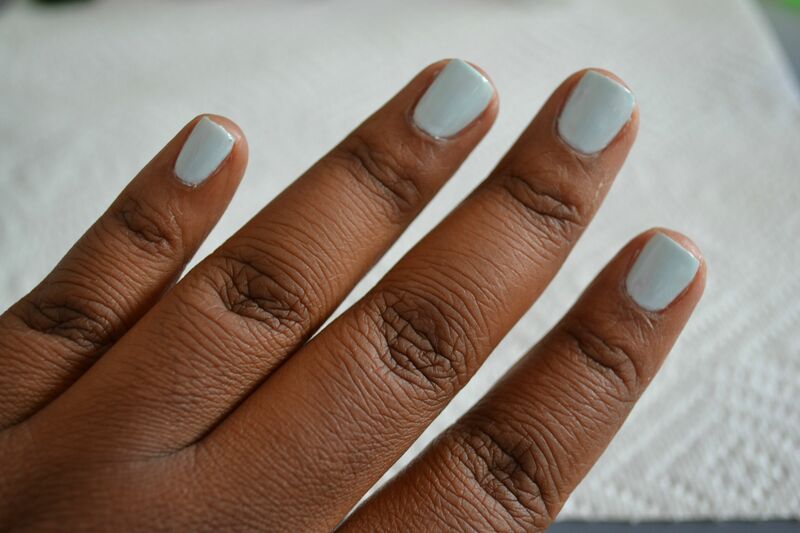 Step 1: After applying your base coat, coat your nails in the blue polish. 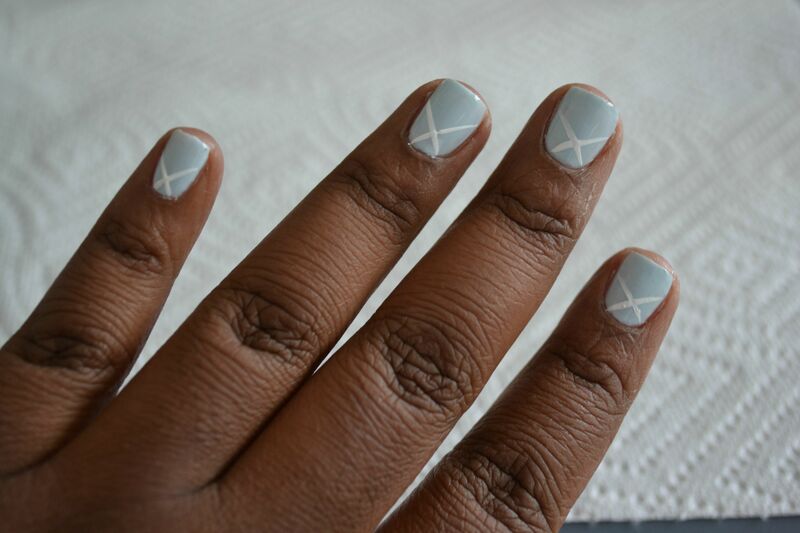 Step 2: Closer towards your cuticles, using the striper, create an “X”. 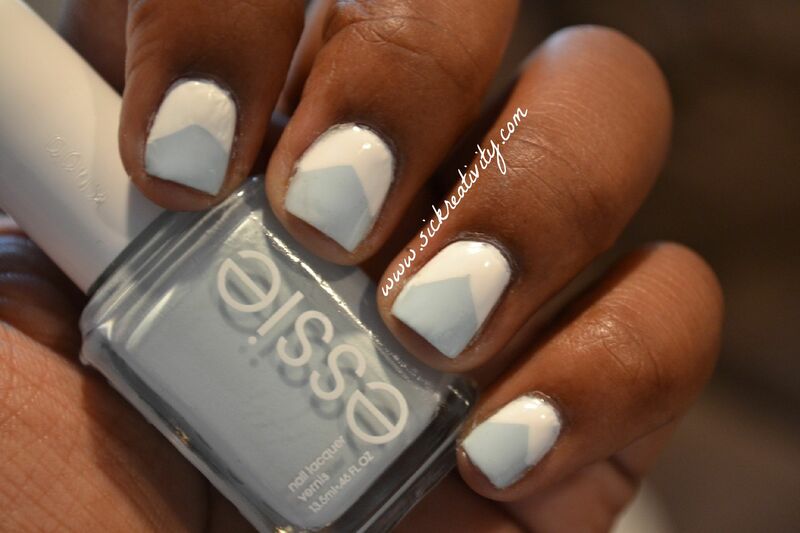 Step 3: Then, fill in the three triangles that the “X’s” created. 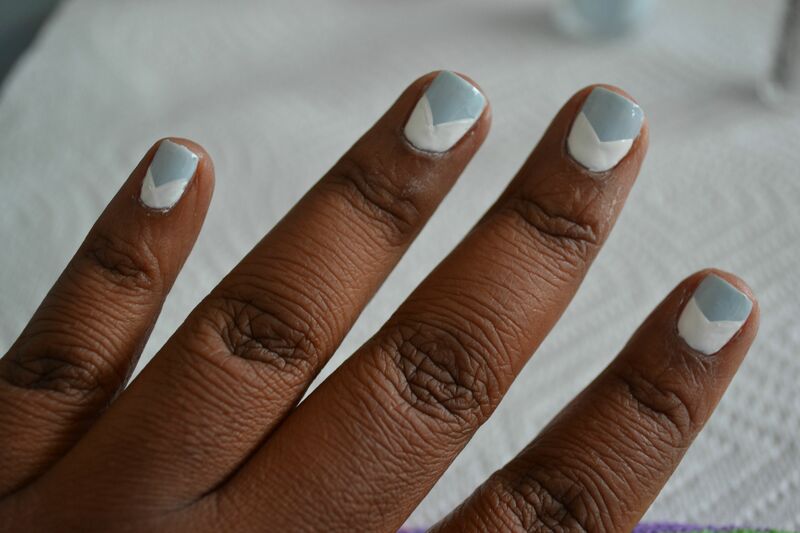 Step 4: Apply your favorite topcoat and your all finished.